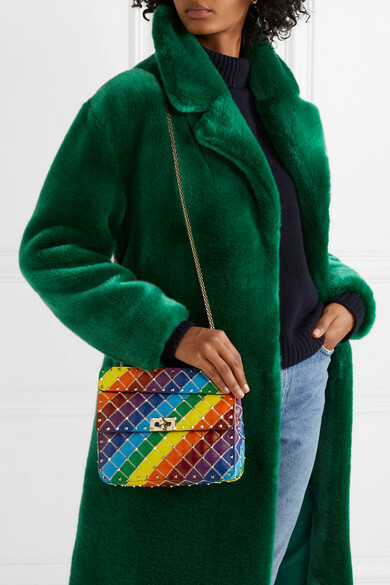 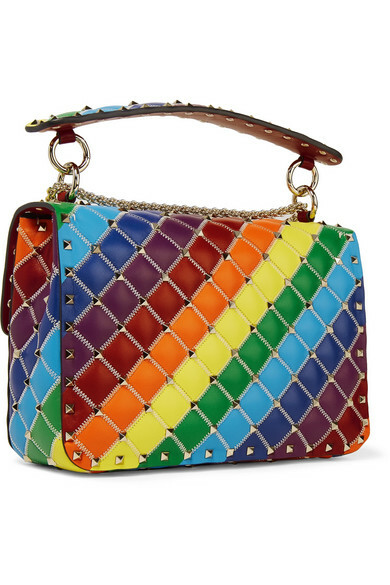 A bright bag can instantly transform your outfit - but why stop at one bold color when you can have the whole rainbow? 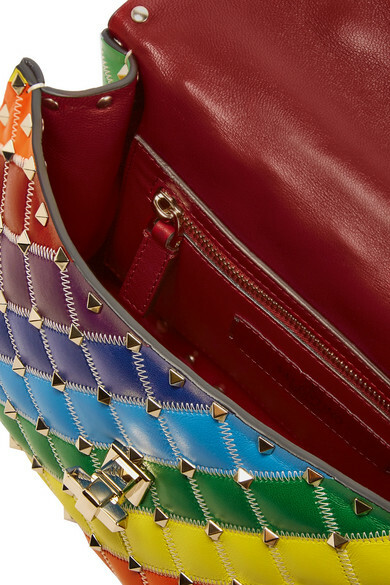 Valentino Garavani's 'Rockstud Spike' is made from quilted panels of leather, accentuated by contrasting white stitching and signature spike embellishments. 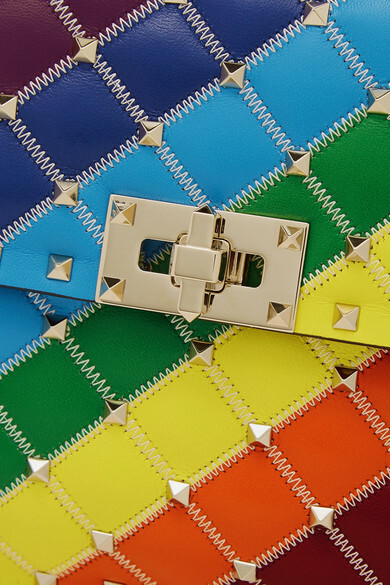 Slip the gold chain strap over your shoulder, or detach it to carry it by the neat top handle. 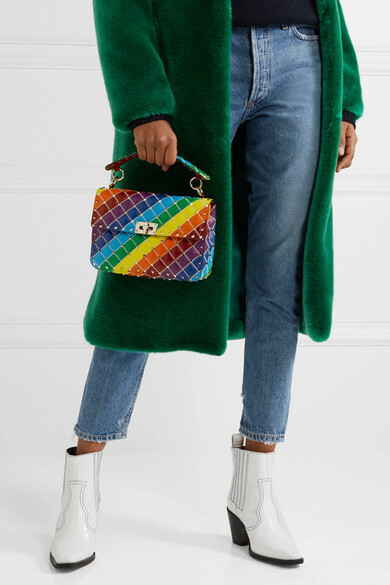 Shown here with: The Row Sweater, Tibi Coat, AGOLDE Jeans, GANNI Ankle boots.